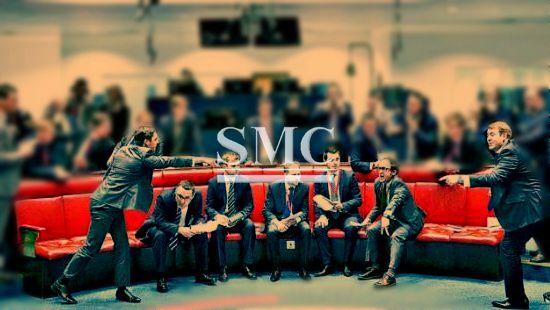 London Metal Exchange is one of the major trading centers of industrial metals in the world. LME’s origins can be traced back to the early 19th century. During this period, businessmen in the metal market used to meet regularly at the Royal Exchange. Later on, little groups of commodity traders began to do business in smaller premises, such as coffee houses. With the Industrial Revolution, the demand for metal surged. Before ores had to be shipped from the Americas or Asia, and traders were exposed to high risks related to changes in prices before the ships’ arrival. With the introduction of telegraph and steam ships became possible to know the exact arrival date. Thus, merchants could now sell metals using forward contracts. The three-month contracts are typical of LME. They were created after the opening of the Suez Canal, which reduced the delivery time of copper from Chile to, indeed, three months. LME has its own index, the LMEX, which is based on the six primary metals traded. LME participants can use futures or options, with further choices among TAPOs, LME minis, HKEX London minis, etc. Contracts can be traded with daily expiry dates out to 3 months, weekly expiry dates out to 6 months and monthly expiry date out to 6, 12, 15, 27, 63 and a maximum of 123 months depending on the metal. Contracts which remain open until the expiry date must be settled. This means that the metal must be delivered to one of LME’s storehouses. Currently, less than 1% of total activities end with a delivery. The last days before expiry date have great importance. Cash tomorrow or TOM is the last day a contract can be closed thus avoiding settlement. TOMs can be cleared only with dollars. Cash is the last day a contract can be cleared in one of the official LME currencies – otherwise contract will be settled in two days from Cash position. LME clear is the company’s clearing house, and it is the central counterparty for all LME clearing members. LME clear provides financial settlement in case of one of the parties to a contract’s default, multilateral netting of trading exposure, risk management control and many other services. LME disposes also of funds aimed at meeting defaults of the members or of their clients. These funds are tested regularly in accordance with European and International standards. Shanghai Metal Corporation is a leader in the metal market. We manufacture high-quality products, aimed at satisfying our costumers’ demands. SMC strives to offer always better services, while using cutting-edge technologies in the manufacturing process. For more information and inquiry, or if you want to have a full list of products, please click here.